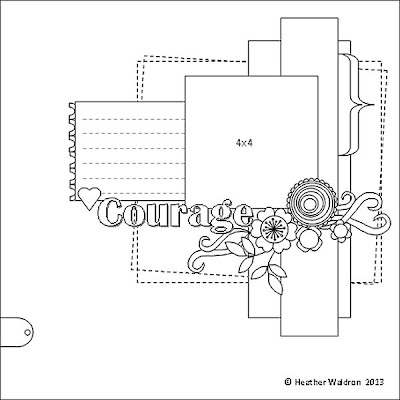 This is the sketch to use for inspiration, I have stuck to the sketch as best as I could, you also have to use the word Courage on the layout. This is my older boy Andrew. The word remember also is a Scrapmatts chipboard word. Loving this song at the moment!!! 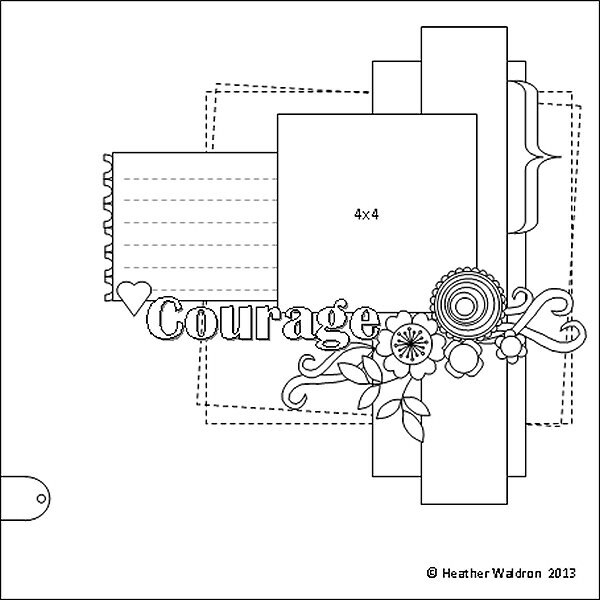 Hi..This layout is really lovely, and the quote is inspirational for your son too.. I love the papers and the cogs look great.. and thanks for joining in at BITW too!! Oh I love what you've done with my sketch. You've converted it from "girly" to masculine perfectly, and I love your title. Love the smal letters in Your have used! Fabulous layout!! !I love all those gears. Such an awesome guy page. Thanks for playing along with us at Bird is the Word.